The other day I was feeling imprisoned and made to feel a type of way and then I snapped out of it. Imagine going through that for 27 years and still unwavered. Unimaginable, but of course achievable because Nelson Mandela did it. Every time I want to feel held down, if you feel held down, held back, think of this man and his 95 yrs of life spent most of the time fighting, struggling, made to feel like an outsider, held back and held down. Makes you want to stand up right, fight those inner and outside demons, tell people hell to the motherf!#=@ no, right! Absolutely, this man should make you jump out the bed in the morn, run out the house, run after challenges, look forward to the next person that tries to hold you down, why? Because, he makes you want to say hell no. 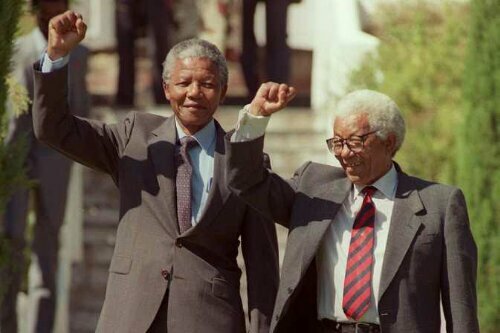 He did, he said no to apartheid and the racial divide, he also showed the people that they could work togerher. Him saying no sent him to jail but it also made him the leader of that very country that initially said no to him and his countrymen for several years. They said no to Jesus too, they said no to countless great men and women throughout our history. But, they ultimately got their yes! Seems to me you can too. Let this man be a symbol of yes. A symbol of encouragement to you when others tell you no. Thank you Madiba for paving a “yes” lane for me. May you rest in peace. 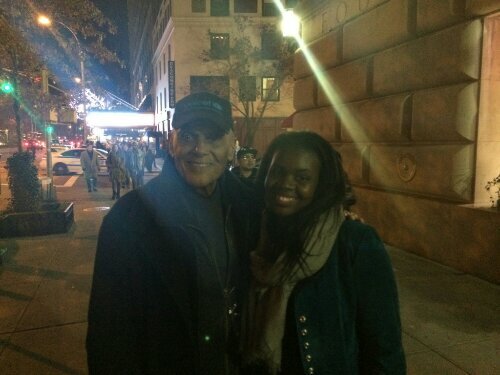 Mr. Harry Belafonte! Meeting him was everything! Gave me even more inspiration to be better, do better personally and professionally. What an icon. A colleague, very knowledgeable and funny guy, we’ll call him Ed, pointed out this article to me. I thought it was interesting how Jay Z thinks of his image as being charity. I totally get what he means, I think my presence is meaningful in some type of way, everyone’s is, but I don’t think my image or anybody’s image becomes charity or helpful to others without some backing to it. Perhaps Harry Belafonte’s words pierced a bit. It always hurts when an older and wiser person tells you something that has some semblance of the truth. We feel we know it all and we have lived and who is this old fogey telling me what I should be doing. However calling a grown man a boy, with all that he has done for the civil rights movement is a bit disrespectful as well. I believe Jay, can I call you Jay! Should have shrugged it off, as one of his many songs says, and did something more than saying his image is charity, you can read what has been said by both sides here. Hmmmmm I don’t know do a PSA, some roundtables with teens from the community, organize a boycott because people do listen when you and your wife speak. Boycott in every state that has stand your ground laws, boycott anything that would directly effect change. Maybe that’s what Harry meant. Perhaps his message and J’s reaction got lost in translation. This has been a week focused on changing laws and changing peoples attitude about race. From Attorney Eric Holder’s Smart on Crime plan, efforts to do away with mandatory sentencing to the ruling that Stop & Frisk is unconstitional. The NPR Article highlights important parts of Judge Scheindlin’s ruling. She focuses on the constitutionality of the stops, the quotas that were given, the lack of detail in the UF 250 form required when stopping individuals, the racial profiling and the pure lack of oversight in executing this law. 1. The law humiliates and embarrasses individuals when stopped. 2. It increases discord between citizens and law enforcement (that already exist), especially Blacks & Latinos. 3. There is not enough explanation for the law and its necessity. Forms filled by police officers performing stops, lack detail and most stops are not part of any active investigation. 4. Police Whistleblowers who have recorded conversations with superiors say they were told that they had to meet quotas, which is illegal. 5. She makes reference to Trayvon Martin and President Obama as it relates to racial profiling. 6. Race played a significant role in stops. There was a disproportionate amount of arrests of Black and Latinos since the tactic was employed in high-crime neighborhoods where Black and Latinos predominate, about 4 million. The City filed a notice of appeal yesterday. According to Crains Article Mr. Bloomberg stated “There is just no question that stop-question-frisk has saved countless lives. And we know that most of the lives saved, based on the statistics, have been black and Hispanic young men.” I am sure it has and there are statistics to support it, but it has also interrupted countless lives, people have had their equal protection rights violated, we loose confidence in law enforcement, and I can keep going. If the government and law enforcement really want to protect us they would not only listen to their point of view but listen and effectively understand the complaints people have about this law and see some of the harm it has also created. Let’s wait and see what happens at the appellate level. In the meantime if you have been affected by Stop & Frisk why not write a letter to Mr. Bloomberg stating what happened to you on a stop, send it to Commissioner Kelly too, send it to your legislatures tell them what happened how you felt, put a name on it or don’t but continue to voice your complaint. Send your letters to the attorneys involved in the cases. The pen is always mightier and if formal complaints fall on deaf ears continue to write and send it to the powers that be in an effort to make them listen. It’s obvious that the mandatory sentencing sought to serve a purpose. However, it also has indirectly targeted particular groups of individuals, look at the predominant number of people that fill our prison systems. Don’t get me wrong there are people committing crimes and yes they should be rehabilitated if possible, but nonviolent low-level drug offenders getting slapped with mandatory minimums may be excessive, for the last 40 years. When a judge has no discretion to reduce a prison sentence for a 19 year old that was accused of conspiracy of drug possession because he was in the car, there may be a problem, a epidemic if you will. Situations like that happen all the time and lead to the crowding of prisons, especially by minorities. I am happy that Attorney General Eric Holder has stood his ground in implementing Smart on Crime, and has taken steps first instructing federal prosecutors to not charge non-violent drug offenders with offenses that would require mandatory sentencing. Hoping that this leads to changes in our justice system, perhaps gives those a chance that made minor mistakes an opportunity to still have a life, rather than a mandatory jail sentence. Read the above article yesterday via twitter. I follow Mother Jones. So scary, but I think we all know we are in the Matrix. As long as our communications become vast with the internet, social media, search engines etc. the more our 4th Amendment right to privacy diminishes. FISA doesn’t help the situation, stands for the Foreign Intelligence Surveillance Act which allows for warrantless wiretapping, searches of our e-mails and phone calls. Of course, the FBI and other government agencies that utilize this act can’t target citizens willy nilly. They have to present their evidence to a FISA panel of judges. Some do believe that under this Act agencies are able to form databases that contain large amounts of information about American citizens. Sigh…so you have to be careful what you google, even if it is to educate yourself on a controversial topic, you might be inviting law enforcement to your door. This act was reauthorized in 2012 for another 5 years. As black attorneys that feel like the verdict in the Zimmerman case was absurd should we be doing something to bring about change? Yes, I believe so but in all honesty I don’t know what. Perhaps in a small way we can all do something to break down this racial divide that is in my opinion getting worse although we think we have come so far. Not sure why people are in denial about it being a race issue. Perhaps the first step is recognizing that there is a racial divide and that people sometimes do get away with murder based on their skin color. Let’s be honest and call it what it is. In my own way I will do my part to bring about social change not because its fashionable but because like Charles Hamilton Houston, Ruth Whitehead Whaley, Charlotte E. Ray, Thurgood Marshall, Julian Bond, First Lady Michelle Obama, President Obama and the countless other attorneys that have worked to bring about social change for me to be an attorney, I too should do it for the Trayvon’s and others that have suffered an injustice.